Breaking News : Goji is Back ! After a fashionable pause, GOJIBOUTIQUE is back with a hot new look! 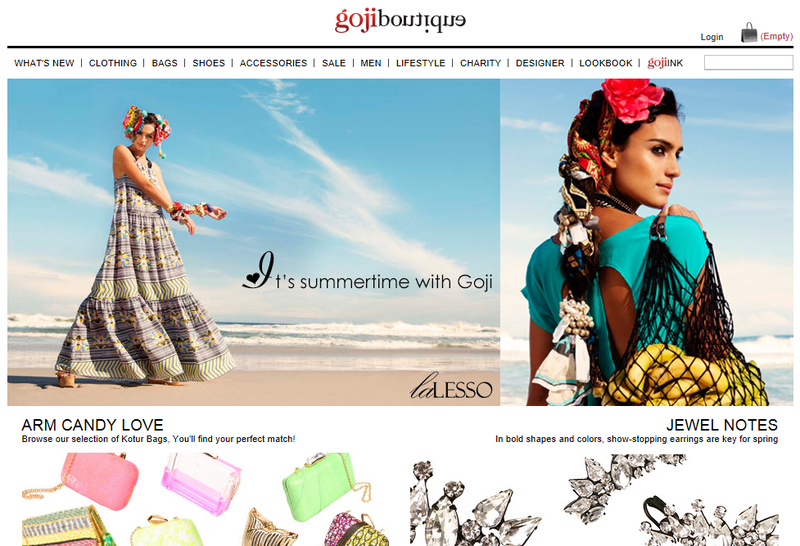 Fashion is all about reinvention and innovation, and in listening to our valued customers’ requests, GOJIBOUTIQUE responded to all your tips and demands to come back with a more social website, a more user-friendly experience, and an elegant face-lift to meet all of your expectations and more! GOJIBOUTIQUE’s new navigation experience is easy and pleasant as a warm summer breeze, focused on delivering our constant flow of chic new arrivals on our homepage. The front page is wider and has far more information on our latest arrivals, upcoming collections and collaborations, gojiINK issues, the Lookbooks, the photo-shoots, the offers and the hottest trends. We know that you’ll love the animated teaser with the latest additions! So with one quick glance at the front page, you'll enjoy all things Goji-what's new right now and what's coming next to please those fashionable cravings. Combining all that with the new and improved checkout process, GOJIBOUTIQUE will become a true fixture on every fashionista’s online shopping bookmark list! GOJIBOUTIQUE’s hot new look is only a chic click away, and we’re also offering our first ten fabulous shoppers an additional 10% discount on their next purchase!